I loved the San Pancras train station; it was clean, bright, and beautiful. This is the only station from which you can catch the Eurostar to the continent. 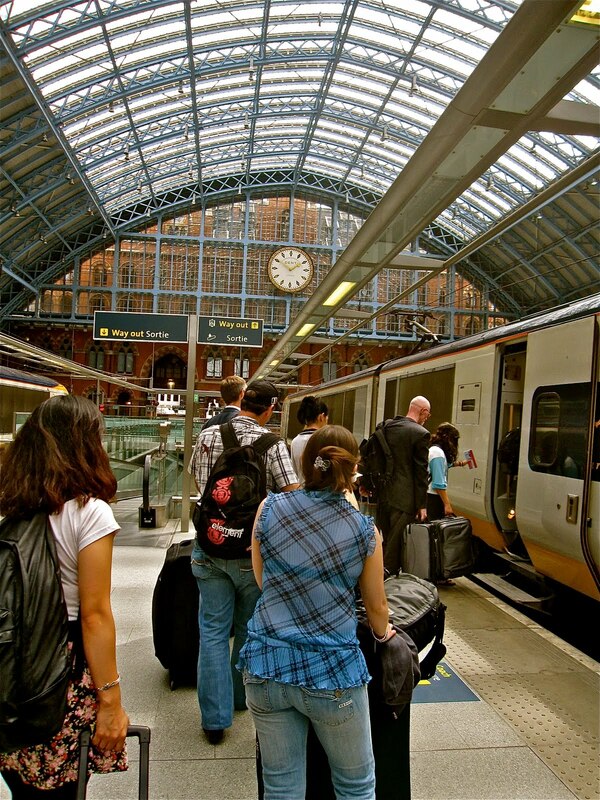 The ride to Paris was about 2 and a 1/2 hours and there is a one hour time change during the journey, so make sure you set your watch right when traveling back and forth between London and Paris.